[ACNS, by Gavin Drake] The announcement that Zambia would go to the polls for a tripartite general election in August sparked an increase in violent incidents, of a kind rarely seen in the Central African nation. And as the tensions rose, political leaders from all the main political parties turned to the Church for help. What followed was a marathon seven-hour indaba session that all sides say has eased the tensions and created a new kind of political rhetoric amongst the campaigners. “Zambia is an oasis of peace,” businessman David Thompson, a member of the congregation of the Cathedral of the Holy Cross said. “If you look at the last 50 years of Zambia we have never seen bloodshed of any magnitude; and all around us Zambia has countries that have poor records of democracy, of violence. We stand unique in regard to this. David Thompson said that “the lobby was so significant that if the political parties didn’t come to it, they would have been seen as non-compliant.” When a venue was sought for the talks, only one place stood out: the Cathedral of the Holy Cross. Some 23 parties were invited to the talks, and 19 attended. The cathedral site hosted the party presidents, their wives and the party general secretaries – including the President of the Republic of Zambia, Edgar Lungu – but the political party cadres were told to stay away. “That helped because the cadre presence always aggravates mob psychology and violence,” the Dean said. “And the main reason this meeting was being called for was the language of campaign had deteriorated to violence. “The activities of certain parties – the larger groupings – had also deteriorated to violence and so this was a time when they should sit together and agree on the modalities of campaign; on the modalities of how to use state media; how to use public private media – all of that was being dealt with at that meeting. 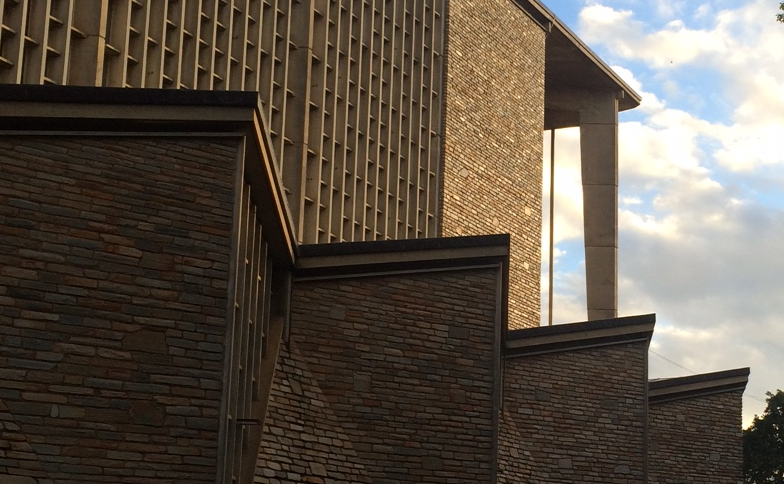 While the Anglican Cathedral acted as hosts, the meeting itself was chaired by the Roman Catholic Archbishop of Lusaka, flanked by representatives from the Council of Churches, Evangelical Fellowship and the Pentecostal and Episcopal conference. He said that the indaba heralded a change of rhetoric and an end to the use of violent language. The parties agreed to talk about peace, and to talk about the issues; while ensuring that their cadres were “not brandishing military type tactics” the Dean said. She continued: “The government continues to look up to the Church to provide spiritual guidance in state affairs. You contribute to the harmonisation between government and other government institutions. The church has been a key factor in promoting peace and prosperity in our nation. “Just recently, the President called for a peace discussion indaba with the opposition political parties to discuss ways in which we can continue to live in harmony in spite of our political affiliations as we head towards the August 2016 General Elections. “This meeting was actually moderated by the Anglican Church. This is how highly we place the Church and church leaders in our country. The President of Zambia, Edgar Lungu, referred to the church’s role in the political parties’ indaba when he met the Archbishop of Canterbury for talks at State House on the eve of the ACC meeting. The Archbishop of Canterbury Justin Welby meets the President of the Republic of Zambia, Edgar Lungu, at State House, ahead of this month’s ACC-16 meeting in Lusaka. 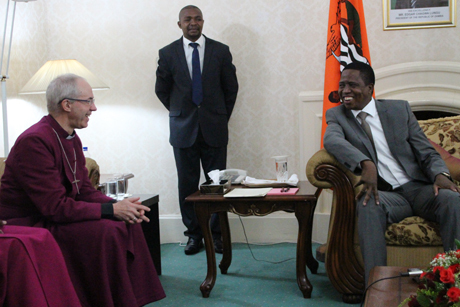 “We involve [the Church] in politics from time to time,” President Lungu told Archbishop Welby. “When we differ, we go to them. . . When we fail to agree in the political arena we call on the Church and the Anglican church has stood out – they really help us to talk to each other. Commenting on the indaba meeting, President Lungu said that the outcomes agreed by the political parties had already begun; and that the parties were now “trying to get our followers to buy into the discussions that were held. “I think it is so-far so-good. We are on course. We just pray that our colleagues and partners in the political game will apply seriously what we discussed and agreed upon; and then it has to trickle down to the lowest ranks. It can’t happen overnight but it will certainly happen and we will get there. Later, Archbishop Lungu returned to the theme when he addressed the congregation of 5,000 worshippers at the opening eucharist of ACC-16. He urged the Church to continue to intervene when politicians cross over the line. 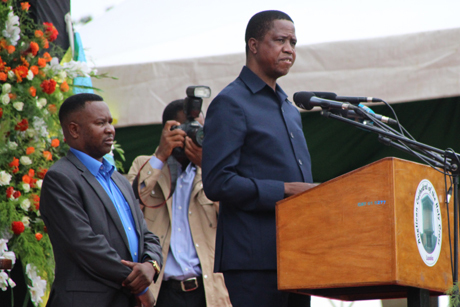 The President of the Republic of Zambia, Edgar Lungu, praises the Church’s role in the country’s political discourse when he addresses a 5,000 strong congregation at the opening eucharist of ACC-16 in the Cathedral of the Holy Cross in Lusaka. “In the 51 years of Zambia’s independence, the Church has played a pivotal role in the general welfare of our country,” he said. “The spiritual and other interventions from the Church has made us . . . the very proud nation that we are. “We cannot forget that among the numerous progressive activities achieved with the intervention of the Church in Zambia, was the return to multi-party democracy in 1991. It goes down in history that this venue where we are standing now – the Cathedral of the Holy Cross – provided the much needed conducive platform and atmosphere for the purpose of achieving transition from one-party state to multi-party state. President Lungu continued: “My government continues to appreciate the role the Church plays in national affairs and I wish to pay glowing tribute to the Anglican Church in Zambia for being monumental partners in our country’s growth throughout the decades that the Church has existed here. Indeed, you have been valuable allies to all successive Zambian governments and we thank you for that and stand ready to support you in your work. ← Previous Previous post: How do you stop terrorism?